We, at Nikki's Blog, present a unique opportunity to all incredible writers to publish their content on our website. By publishing your content with Nikki's Blog, you can reach the large audience of your niche and we can are grow together day by day. The content must be unique (No Plagiarism please). Content length should be unique and informative with word limit of minimum 500 words. There is no higher limit to number of words. Duplicate Content We don’t accept duplicate content on our website which is copied from anywhere else. You can provide a link to your blog or website and even to some of your posts (Not more than 3). Send 2-3 Images (800 × 445)with credit if you using form any other source. Two Back-link will be provided (if requested by guest blogger). The content should be user-friendly and should be related to Technology, Tech News & tips/updates, Educational, Digital Marketing Tips, Case Studies, Career Growth, Social Media Tips and Update, Food Blog, Travel Blog, and Book reviews. We don’t accept posts that don’t fall to our niche. And also, make sure there are no grammatical mistakes in your Content. We can edit your posts, if necessary. 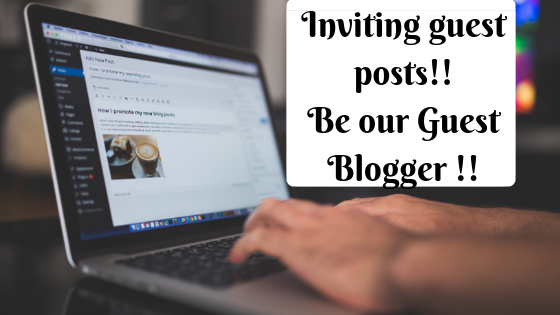 Don’t forget to say a Share our blog, even when you stop by the next time. We believe in making connections and relations!! I hope these little requirements sounds good and reasonable. We read all emails from you and will reply back them within 24 hours. All my posts and reviews are based on my personal experience. I am the legal copyright holder of all blog posts and pics on nikkisblog.com unless otherwise mentioned specifically. No one can use it to reprint or publish without my written permission.